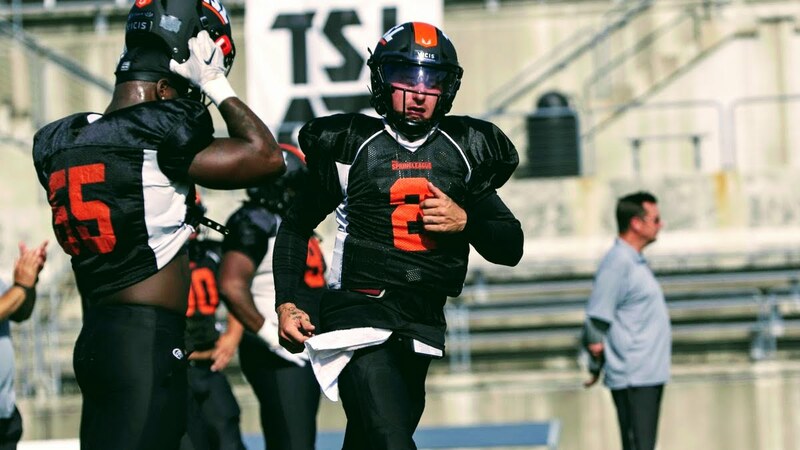 AUSTIN, Texas — Quarterback Johnny Manziel played in his second and final game of the Spring League on Thursday night and has a little more than a month before he has to make a decision about his future in football. Manziel has a standing offer from the Hamilton Tiger-Cats, a CFL team. If he elects to sign with the Tiger-Cats, he will be making a two-year commitment to playing for the team. CFL training camps begin May 16 for rookies, so Manziel has about a month to sign with the Tiger-Cats or decide to wait for an offer from an NFL team. Previous Play of the Game: Manziel Scrambles for 6!